Preparation is important to a successful harvest. Being prepared is essentially ensuring everything will be ready when the time is right. Time is important in caring for your harvest. 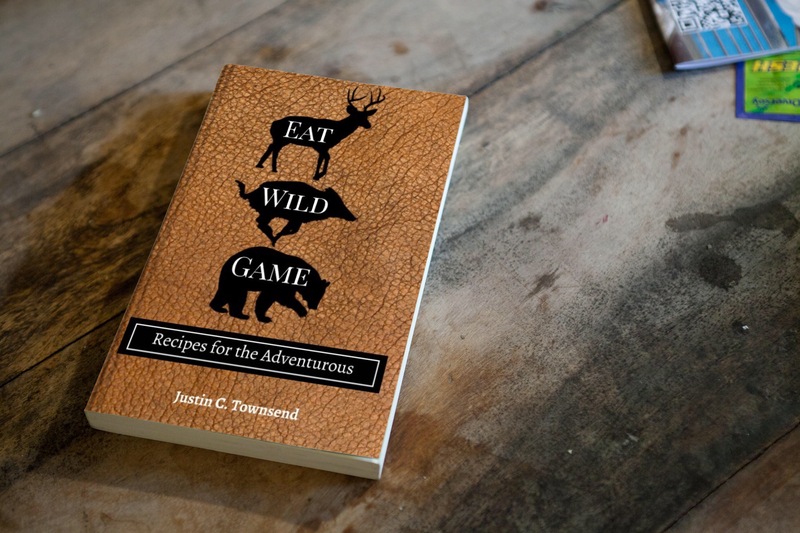 Everything from berries to venison must be properly cared for and either stored right away or consumed in the right amount of time. 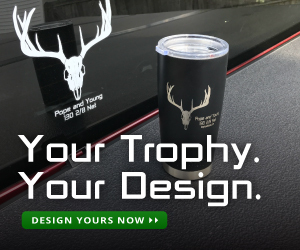 Keeping your harvest fresh will make for a much more enjoyable experience and seeing your trophy on the wall will help to remind you of that special moment in time. Maintaining cold storage is as important as practicing your shot and maintaining your gear. Believe me, a faulty freezer is the last thing you want to put your hard earned catch in. Power outages and electrical surges can lead to a freezer nightmare. Many companies sell products that serve as an extra security measure. A wireless thermometer with an alarm can assist in monitoring your stocks. A surge protector is another security measure that can help protect your harvest.We can spend a lot of time and money on gathering what we put in the freezer so why not spend a little of both to make sure they are properly stored. So where do you take your harvest If you’d like to get it processed or mounted? I’ve found the best thing to do is shop around for taxidermists and processors. Quality, price, and personal preferences vary and you’ll want to find a professional that fits your taste. A processor that makes great tasting jerky may not make kielbasa the way you like. A taxidermist who specializes in fish may not be good at shoulder mounting and vice versa. Again, preparation and caring for your trophy is important. You don’t want to harvest your trophy and then look for a taxidermist or processor. You want to bring your trophy or meat to them as quickly as possible. 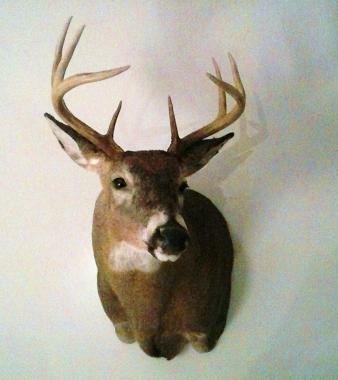 Many taxidermists will work with you to make your mount as memorable as the experience. Some taxidermists are just easier to talk to. Last year, I took my spring gobbler’s tail fan, beard, and legs to a taxidermist. He said he was swamped with work and it would take awhile. I understood and joked that I would mount it myself if I knew how. “Well then! Here is how you do it,” he replied. All I needed was a wooden plaque, acetone, borax, a board, nails, and some clear nail polish. There are videos online that describe the simple process. I even mounted the feet with the bird’s spurs. The wooden plaque I decided on didn’t have holes for the feet so I just drilled them myself. It looks just the way I want and only cost me about fifty bucks and a few hours. When it comes to mounting fish, skin mounts are nice but many taxidermists like to use a cast head. Ask the taxidermist how he plans to mount your catch if you are unsure. Communication is important and you want to be clear on what you would like to get back in the end. I take my fish to an award winning taxidermist who just so happens to charge less than the competition. He uses the real heads on most fish. His advice to me is: If I want to preserve the colors on the fish, I need to put some borax on it, wrap it in a wet towel with the fins pushed in toward the body, and freeze it ASAP. The borax will preserve the colors that begin fading quickly after the fish is removed from the water and the fins will break if not pushed toward the body before freezing. Don’t gut the fish. Freeze it whole, but remember to take it to the taxidermist as soon as you can. If you want to eat your fish, replicas now offer surprising detail. Take as many photos as you can of the catch before the colors fade. If your fish has a detail or feature that sets it apart, ask if it can be included. It may cost extra but the finished product will look more like your fish. Some taxidermists are better artists than others. Ask for examples and references. The same do-it-yourself concept used on the spring gobbler fan mount can be used for fish replica mounts. It helps if you have some artistic talent and creativity. My son decided to eat his trophy walleye catch a few years back. Then he received an award for the fish. Well now we were left with the trophy award and no trophy. Thinking dad to the rescue, I began researching replica mounts. I couldn’t seem to find what I was looking for from services online or in the area. I decided to use my art background to “make it right.” I purchased the highest quality blank replica casting with the most exact measurements I could find. The measurements of length, girth, and weight, are as important as the photo of the fish. Luckily, I had done this before the beer battered fillets hit the cooking oil. After reviewing a few online videos describing the painting process, I was off and running. By purchasing a small compressor and an air brush kit from a hobby store, I was able to capture the appearance of his fish. Not only was the experience fun but the end result was as satisfying as having his actual walleye skin mounted. The boy was as excited to see his trophy walleye replica mount, as he was the Christmas before, when he opened his video gaming system. Make sure to visit NWPA Outdoors to see this article and many others about hunting, fishing, and the outdoors in northwestern Pennsylvania. Love your turkey mount in this photo. Where did you get it (homemade)? I purchased the engraved walnut panel kit from McKenzie Taxidermy Supply. I used a hole saw to make a place for the feet to go because I really liked the darker panel.